Apply for a Job! Interested in working for The Alliance? View our job opportunities here. Cheryl participates in a number of national and regional initiatives that align with The Alliance’s mission of controlling costs, improving quality and engaging individuals in their health. She serves on the Advisory Board of the Wisconsin Population Health Institute, as vice-chair of the Wisconsin Health Information Organization (WHIO) and the board of the Wisconsin Collaborative for Healthcare Quality. Dr. Melina Kambitsi joined The Alliance in 2017 and leads the team responsible for membership growth and retention of the cooperative. Dr. Kambitsi comes to The Alliance from Network Health in Milwaukee and Menasha, Wis. where she was chief sales and strategy officer. In this role, she was responsible for sales and underwriting, strategic planning, product development and risk-based contract analytics. Earlier she was senior vice president of sales at Blue Cross Blue Shield in Honolulu, Hawaii and the vice president of sales, marketing and product development at Blue Cross of Northeastern Pennsylvania. 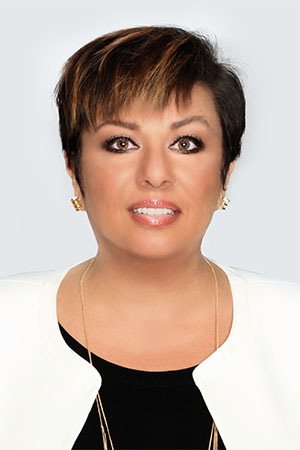 Dr. Kambitsi received her bachelor’s in international studies and her master’s and doctorate degrees in economic geography at The Ohio State University. She speaks Greek fluently as well as four other languages (Spanish, French, Romanian and Russian). Paul Meyer joined The Alliance in 1996 and served as the director of finance and operations until he became chief operating officer (COO) in 2007. As the COO of The Alliance, his main duties include overseeing the claims and customer service, finance, MIS and HR departments as well as business planning and reporting. Paul also serves as the treasurer of The Alliance Board of Directors. Paul represents The Alliance on the Board of Directors for National CooperativeRx, a not-for-profit prescription drug purchasing cooperative. Paul is the chair of the Board of Directors for All Saints Neighborhood, a retirement and assisted living community. Paul also serves on a number of other boards, including the Wisconsin Statewide Health Information Network (WISHIN), Catholic Charities of Madison and All Saints Neighborhood. Kyle Monroe joined The Alliance in 2017 as vice president of network development and provider relations. His responsibilities include creating and maintaining relationships with health systems, clinicians and other providers to support The Alliance’s strategic goals of improving health care value and organizational growth. He also designs and adopts purchasing and reimbursement mechanisms to accelerate progress toward high value, safe care delivery. Before moving to Madison, Kyle served on the Board of Directors for the Healthcare Financial Management Association-Kentucky Chapter. He also was on the advisory board for ValidCare, a company dedicated to developing and implementing mobile technology for patients and caregivers. Kyle received his Masters of Business Administration in accounting and finance from the University Of Louisville College Of Business and his Bachelor of Arts degree from DePauw University in Greencastle, Ind.